Positive reviews are important. Maybe even critical. I’ve heard that 84% of people trust an online review as much as if a friend had referred them. So yeah, you want reviews. I know, all you can think about is getting a stinker from some nutjob who thought you weren’t going to charge for [whatever] or who complains that you took 25 hours to get back to them instead of the 24 you promised. Sorry, Charlie, bad reviews are going to happen. In fact, clients are much more likely to leave a review when they’re not happy than when they are, so that risk will always exist. Unhappy clients are emotionally driven. They’re going to tell the world how they feel just because that’s how they roll. Your multitude of happy clients is less likely to leave reviews. They need to be prompted, reminded, and made to feel like their reviews are important. The bottom line: ask clients for reviews. You’ll get a preponderance of positive ones and they’ll drown out the ones who reside in crazy town. According to a recent study, more than 50% of the people you ask for a review will provide one. The numbers are probably less for legal clients who want to protect their privacy but if only one in five leaves a review you should be way ahead. Tell them which site you prefer and give them the link. 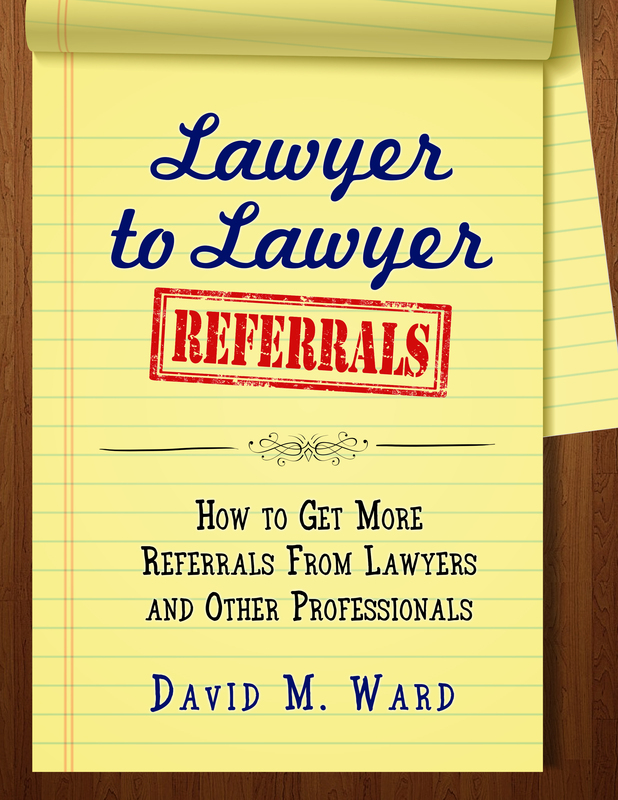 Tell them how reviews help other people who are looking for a lawyer choose the right one. Tell them how much you appreciate them for taking a few minutes to help you. Just DON’T ask for Yelp reviews, however, because, I just learned, it is against their TOS and you don’t want the Yelp police coming after your azz. 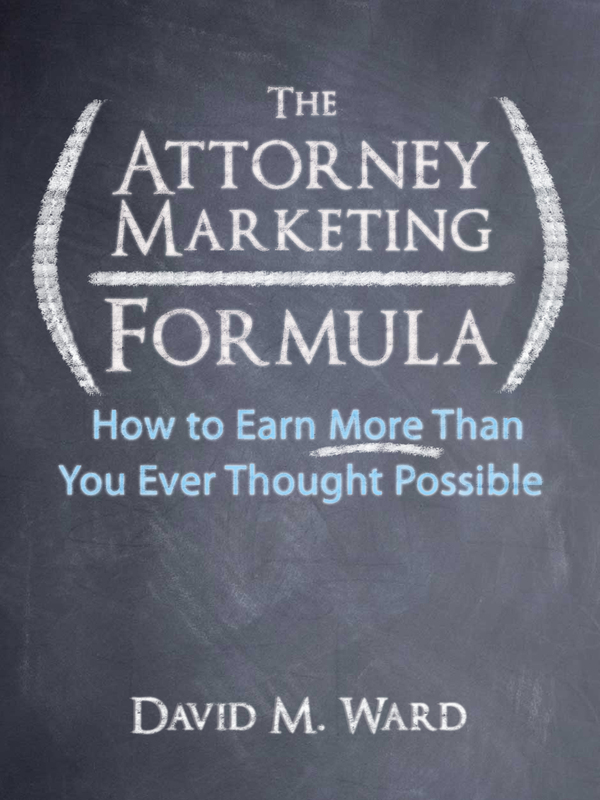 You’ve heard me say it before: to build a successful practice, with lots of repeat business and referrals, you should focus on clients, not cases. Don’t look at what a single matter is worth to you. 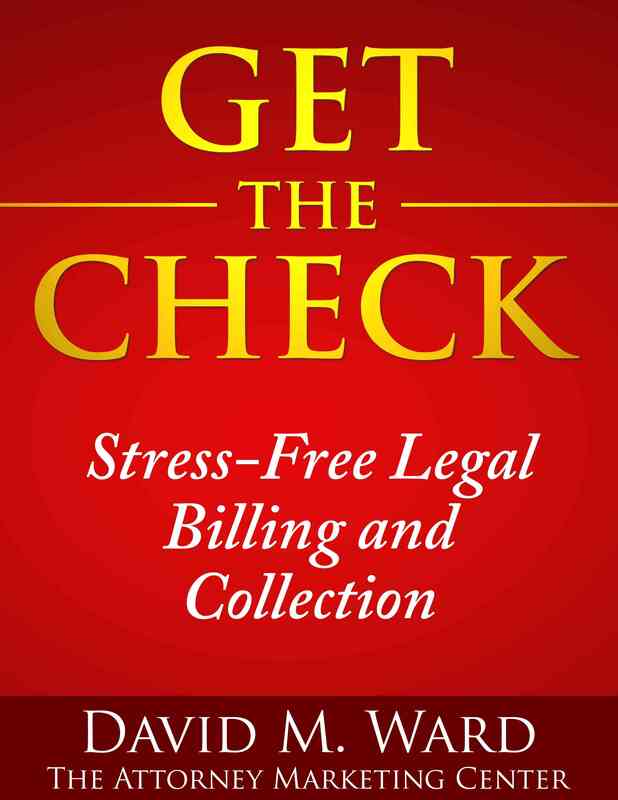 Look at what the client can bring you over their lifetime or the lifetime of their business. The initial case might be small. You might earn a negligible fee. Sometimes, you might not earn anything. But if you focus on treating every client like they are worth a fortune to you, eventually, some of them will be. The guy who has a fender bender today could have a catastrophic injury next year. The small startup that can barely afford to talk to you today could become your biggest client in a couple of years. And every one of them can send you referrals, send traffic to your website, say nice things about you on social media, and tell their friends or contacts about your upcoming event. Clearly, this doesn’t mean you can give every client the same amount of attention. Your best clients should get more of your personal time. See them, talk to them on the phone, build a relationship with them that goes beyond the work. The rest of your clients should be nurtured with email, letters, and calls from your staff. Whatever you do, don’t be like some attorneys who believe that doing a good job for their clients is all they have to do. They don’t understand that clients come back not just because you did a good job but because of how you made them feel. One of the best sources of new clients is old clients, that is, former clients who haven’t hired you for a while. That’s one reason I repeatedly pound on you about the value of staying in touch. Anyway, if you haven’t been doing that, or even if you have, there’s something else you can do to “re-activate” lapsed clients. In the mail yesterday was a letter (remember those?) from a dentist I don’t know but with a return address that sounded vaguely familiar. I’m always curious to see how professionals market themselves so I opened it. Inside was a $100 gift card, good towards any treatment with this dentist. I don’t live anywhere near his office so why was he mailing this to me? With a quick search online, I figured it out. It seems that the dentist I went to nearly ten years ago has retired and moved out of state. Before he retired, he took on a young partner, the dentist who send me the gift card. So, basically, my dentist sold out and moved out. Anyway, the gift card is the size of a credit card and made of hard plastic. If you’re using gift cards in your practice, this is a good way to do it. Doesn’t cost you anything unless they use it and if they use it, well, Bob’s your uncle. Bingo. Don’t need any dental (or legal) work? You may know someone who does. It’s called a referral, in case you’re new around here. How many people work for you? I don’t just mean employees. Or freelancers. Or outside companies you hire from time to time. I mean everyone who helps you in some way and gets paid to do so. The answer is probably in the hundreds. Maybe a lot more. Impossible? Not really. Not if you re-think the meaning of “work” and “paid”. See, you’re forgetting about all of your clients and former clients. They work for you, too, even if they don’t show up at your office every morning. They work for you by keeping their eyes and ears open for people who need your services. They work for you by sharing the content on your blog or newsletter or your posts on social media. They work for you by inviting people to your events. True, they may not be very good at their job. But that’s just as much your fault as their’s. If you don’t talk to your clients about referrals and other ways they can help you, most won’t know what to do. Or if they do but they haven’t heard from you in months or years, they forget to do it. It’s up to you to educate them so they can do their job. You can do that by posting a “How you can help us” page on your website and putting a copy in your “New Client Welcome Kit.” You can do that by staying in touch with them so they see your name and think about you and what you do. It’s also up to you to praise them when they do a good job and, if possible, to recognize them for their good work in front of others. You do that with real employees, don’t you? Praise and recognition? (If you don’t, you might want to put that on your list). Okay, you get it. You see how all of your clients and former clients and everyone else on your list of contacts can help your practice grow. You also know that with a little help from you, they will be more likely to do it. So we’re good, right? You know what you need to do? Hold on. I said they get paid and you want to call me out on that. You can’t pay clients for referrals, nor would you want to. Ah, but there are other ways to get paid in this world besides cold cash. Why do you suppose anyone ever gives you a referral? Or forwards your email or report to someone they know? Because they know someone who needs your help and they want to help them. They feel good doing that, helping a friend or client avoid pain, achieve a goal, or solve a problem. They feel good when their friend thanks them for introducing them to you, sparing them the risk and time of trying to find someone on their own. Your clients also enjoy helping you. Yes they do. Sure, they paid you and they got what they paid for (or more). But they like you and want to see you succeed. It makes them feel good to know that they were a part of that success, especially when you express to them your appreciation. You do that, right? Say thank you to your clients when they do something nice for you? You should. It’s part of their “compensation” and if you don’t pay them, if you take them for granted, they might not want to work for you anymore. Yes, there’s a big workforce available to you. Help them do a good job for you and they’ll make you glad you did. What breed of dog does your client own? What’s the name of the last client you spoke to? How well do you know them? Are they married? What’s their spouse’s name? Do they have kids? How old are they? What part of town do they live in? Do they play any sports? Do you know the name of their accountant, tax preparer, and insurance agent? How about the name of their dog? I know it’s difficult to build a personal relationship with all of your clients but how about some of them? Or are you the type who does the work and that’s the end of it? No communication, no relationship, nothing from you. If they contact you again, fine. Otherwise, you don’t have time for them. Please say that’s not true. Please say you make an effort to get to know at least some of your clients and that you make it a habit to stay in touch with all of them. If you don’t, it’s not too late to start. Reach out at least one client this week and have a conversation with them. Take a few minutes to find out something about their personal life. Write it down so you’ll remember it. Verify their email address so you can stay in touch. Every client you do this with represents potential growth for your practice. Even if they never hire you again, they can send referrals, introduce you to other professionals, share your content, promote your events, and send traffic to your website. Oh yeah, they can also write a positive review about you, including how much they appreciate that you stay in touch with them after the work was done. Before you spend another hour attending a networking event and talking to strangers, how about networking with the people who already know, like, and trust you? How much do you spend to acquire a new client? If you don’t know, go through your paid bills for the last 12-18 months and tag everything marketing-related: advertising, direct mail, websites, networking groups, newsletters, software, outside services, signage, marketing assistants, and everything else. Add it up. These are your hard costs. Next, look at your calendar and figure out how much time you spent on marketing activities: networking, writing articles, blog posts, and emails, conducting interviews, creating and delivering presentations, meeting with referral sources, posting on social media, and so on. Assign a dollar value to that time and add the result to your hard costs. Take your total marketing expenses and divide by the number of new clients you brought in. The result is your average cost to acquire a new client. If a new client is worth $10,000 to you, you can make an intelligent decision about how much you’re willing to spend to acquire them. Next, go back and look at the breakdown of your expenses. Assuming you track where new clients come from, (please say you do), you’ll be able to increase your profits by managing your marketing expenses. If your ads are working, you might increase ad spending. If you’re wasting time with networking, you might cut down on the number of groups you belong to. By far, the easiest way to increase your income is to focus less on acquiring new clients and more on retaining the clients you already have. 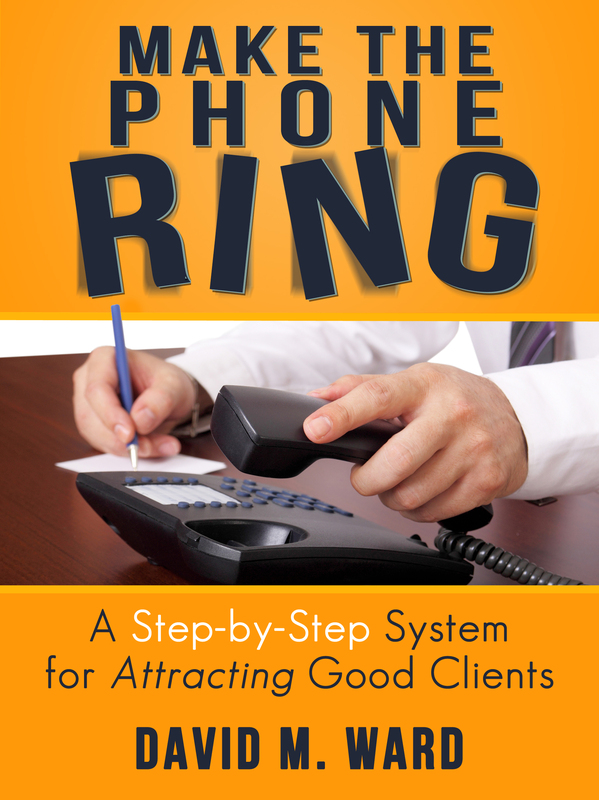 Repeat clients (and the referrals they provide) come to you at very little cost. You’ve already paid to acquire the client. From this point forward, what they pay you is nearly all profit. Do you have satisfied clients? That’s a shame. You could do so much better. You don’t want clients to be merely satisfied. You want them to have a big smile on their face and be excited (or relieved) they found you. You want them enthusiastically singing your praises to anyone who will listen. You don’t want satisfied clients. You want fans. A satisfied client will recommend you to friends and neighbors if they are asked for a recommendation. A fan will go out of their way to talk you up and pass out your cards. In building your practice, one of your primary objectives should be to make your clients fall in love with you and your firm. One way to do this is to surprise and delight them by giving them more value and service than they expect. Clients expect competent work, good customer service, and reasonable fees. If this is what you deliver, you’re probably not getting as many referrals as you could. We just had some minor repairs done on the exterior of our house. Cracks patched, trim painted, a new side door, and so on. Although I know we got a good deal on the work, I couldn’t believe how much we had to spend for “minor” repairs. When the job was done, the workers showed us some “extras” they had done at no additional charge, things we had originally passed on because they weren’t absolutely necessary and because we were already spending more than we had intended. The dollar value of these extras couldn’t have been more than a few hundred dollars, but the gesture made a huge impression on us. We got more than we expected. We felt better about how much we had spent and we were eager to tell others about the company. Sure enough, as we were taking another look at the work, our neighbor from across the street came over. He said he needed to get his house painted and wanted to know if we were happy with this company’s work. We said they did a GREAT job and we would DEFINITELY recommend them. He asked for the contractor’s card. We would no doubt have recommended them without the extra “surprises” they provided. But we went a step further and “sold” our neighbor on “our guy”. If anyone else asks us for a recommendation, we’ll recommend them. But we’ll do more than that. When we hear that someone needs work on their house, we won’t wait for them to ask if we know anyone, we’ll make sure to tell them about our guy. That’s the difference between a satisfied client and a fan. Now, here’s what I want to know. I want to know if the contractor instructs his employees to “find” extras that need doing and do them, gratis. Is this his standard policy, because he knows the value of giving clients more than they expect? If it is, that might explain why our guy has hundreds of five-star reviews and his competitors have so few. How much do you know about your clients? 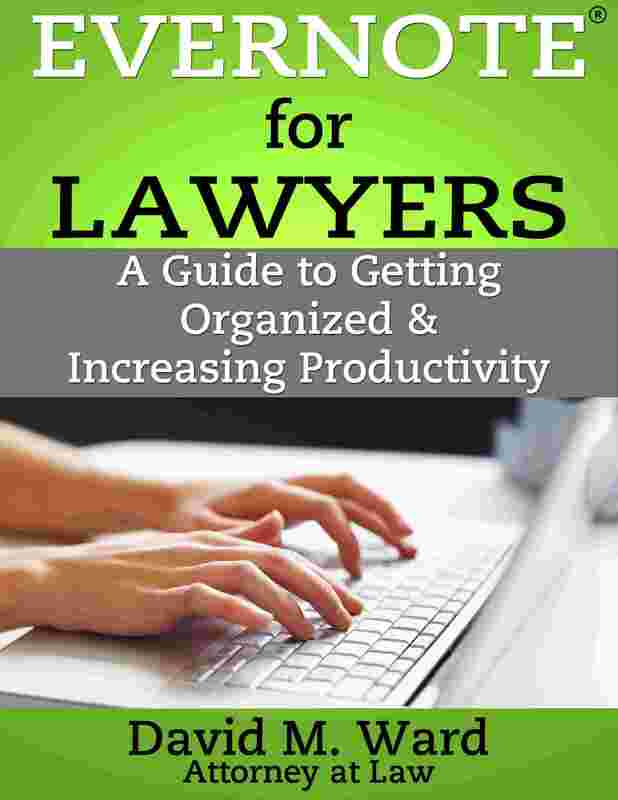 Your clients are more than an amalgam of the legal problems they bring to you and the more you know about them, the more you’ll be able to help them. And helping them is one of the best ways to inspire them to help you. If you want your clients to fall in love with you, send you referrals, and tell the world about your amazing ways, if you want them to go out of their way to help you, you should be prepared to do the same for them. Help them solve problems and achieve goals that go beyond the core services you offer. 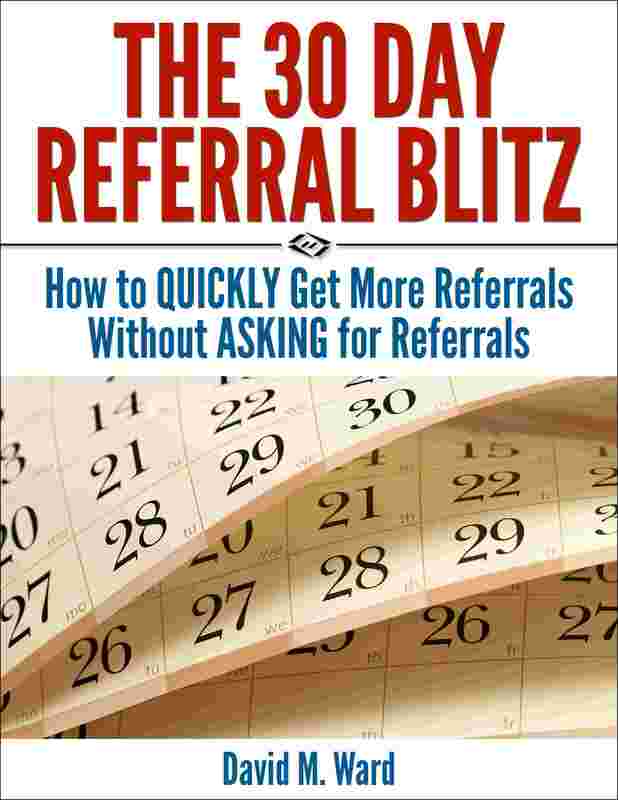 Send business clients referrals. Introduce them to professionals and business contacts who can do the same. Send traffic to their websites. Promote their events. Post reviews about their products or services. Send consumer clients information that can help them save time or money. Recommend trustworthy contractors and vendors. Refer them to tax, insurance, real estate, and investment professionals. Support their charitable causes. How do you know what your clients want and need? You ask them. Get your clients to open up to you and they’ll tell what you can do to help them. If you can’t help them yourself, go out and find someone who can (and help them get a new client or customer). The more you know about your clients, the more you can do to help them and the more you do that, the more likely it is that they will help you.